Yes 50,000 yrs he said it was pages long and he gave it the each UN member they were talking to so surely there must be a copy somewhere? Last edited by Longeyes; 01-19-2019 at 06:28 PM. Reading it I’m getting the distinct feeling that it was penned by Hynek himself, this could explain why he had a copy. The use of the Sgt Zamora Socorro case, highlight that not all UFO cases are hoaxes, and later the mention of swamp gas his most embarrassing debunk? Upcoming Episode S01E03 The Lubbock Lights. on History Channel's PROJECT BLUE BOOK. 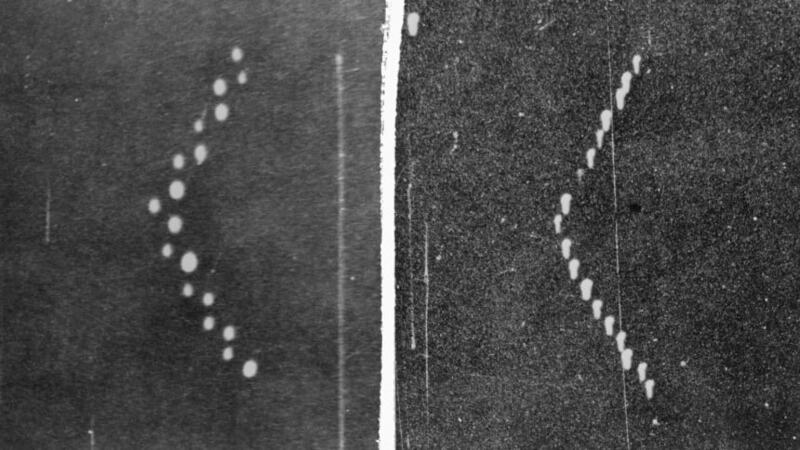 If I remember it right, the 1951 sighting report was dismissed as a flight of "Plovers" (type of bird) flying in formation and reflecting the city lights. History Channel's PROJECT BLUE BOOK. Upcoming Episode S01E04 Operation Paperclip. Channel guide mentions "ex-Nazi scientist in Huntsville Alabama." and that this episode will be based on the "Chiles-Whitted UFO Encounter"
Upcoming Episode S01E05 Foo Fighters. Channel guide mentions "A top-secret group claims to be communicating with UFOs" . Upcoming Episode S01E06 Green Fireballs. Upcoming Episode S01E07 Scout Master. Good news for fans of the show. The cable network has picked up 10 more episodes of the scripted drama following a strong start for the show. Executive produced by Robert Zemeckis, Project Blue Book has made History the top entertainment cable network on Tuesday nights since its Jan. 8 debut. Watched every episode to date and loving it, great acting and awesome attention to detail for the back drops...mid century fashion!